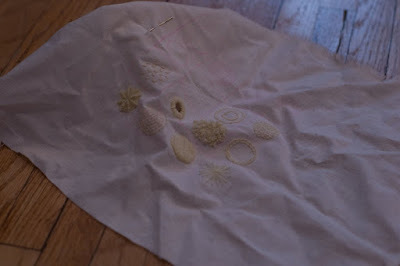 Before I announce who won - let's take a quick stroll through all the unfinished projects . . . 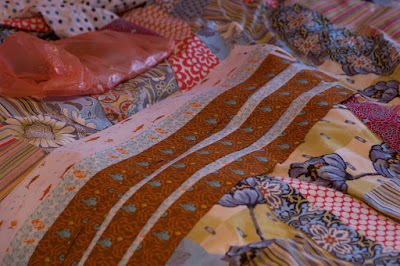 Waiting patiently for one last bias tape seam for over 4 months! 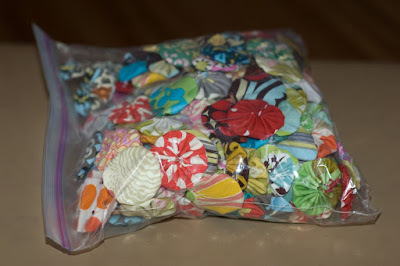 Waiting for pearl snaps to be added - otherwise they are 98% complete! Started either last year or 2 years ago on my birthday - I will finish this soon! 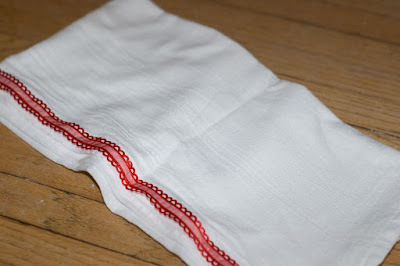 Waiting for the embroidery - I added the ribbon trim, but never got to the Christmas embroidery I had planned. Started these on a work trip to Mexico then never finished - one day I will. 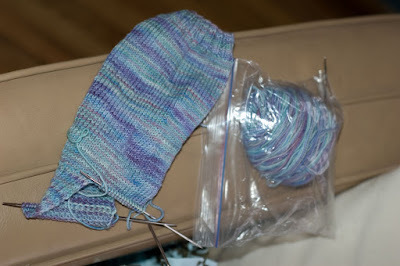 These socks are larger gauge than normal socks and are toe-less, making them perfect for cold weather pedicures. 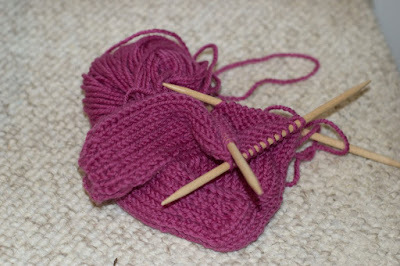 Started this during my crochet class and have made decent progress. 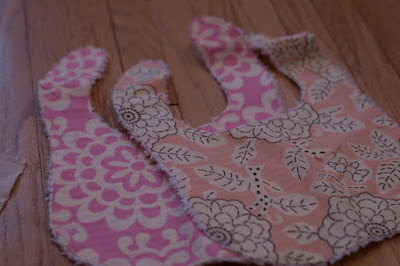 They just need to be joined together - and I need to make a large square for the back panel. 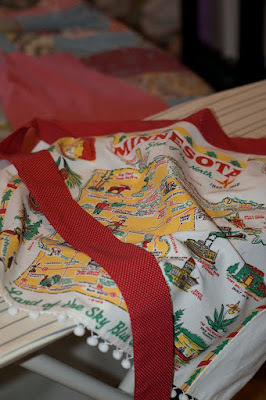 This was for a friend - I bought a MN State bag at a Quilting show and intended to use it for aprons - this has been laying around since 2007 all cut up, I finally finished it on Sunday. 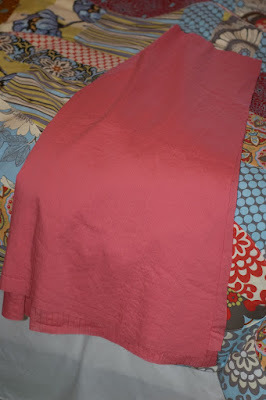 Project 9: Vintage Velvet Scarf I think this project is at least 3 years old if not older. I get in a groove with it then just get bored. 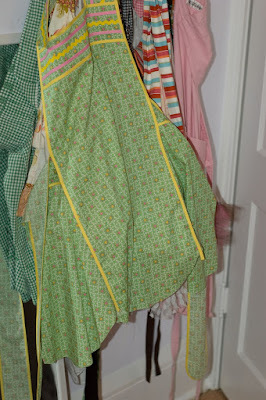 I made 2 of these one weekend and cut out the fabric for a third then I just fizzled. I need to finish soon with all the nice weather we're having. These were started during a capital project installation while I was still in Engineering which was over 3 years ago! 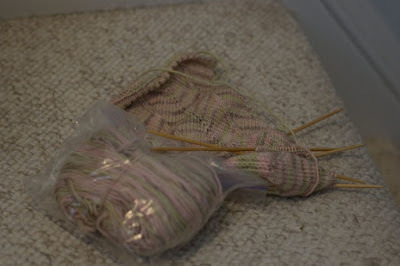 I'm only half way through the first sock. I started these as a gift for my mom but decided they were just too much work to give away (sorry mom!) I hope to finish them for myself one day. 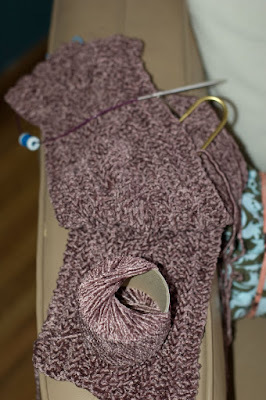 Again, only half way through the first sock. 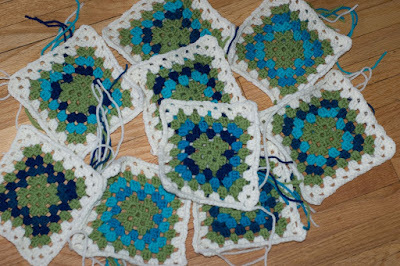 Started these the last day of crochet class - finished one but haven't really started in on the second one. Yo-Yo's are almost complete (a couple more to sew up) then I can start the process of laying them out and sewing it all together. 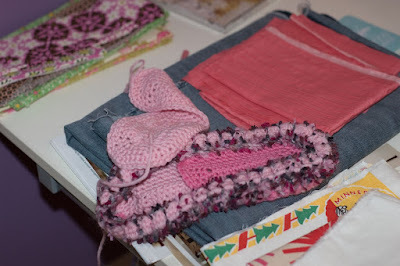 I'm waiting for a weekend when Will is gone so I can take over the dining room table and plow through the hand sewing while watching girly movies. So, all in all there are 17 unfinished projects which puts Drew as the lucky winner! Stay tuned to find out what Drew wins. As a final note, the sad thing about all of this is that I have many more projects in the "queue" - these are just the ones I started and never completed. There are many more in the "idea" stage and a handful more in the "I purchased everything haven't had time to get to it" stage. Maybe I should consider crafting full-time . . .
i want pedicure socks. i love them.